After graduating the Aveda Institute Denver and working in the Denver market for just shy of a year, Haley decided to move back to her home state. 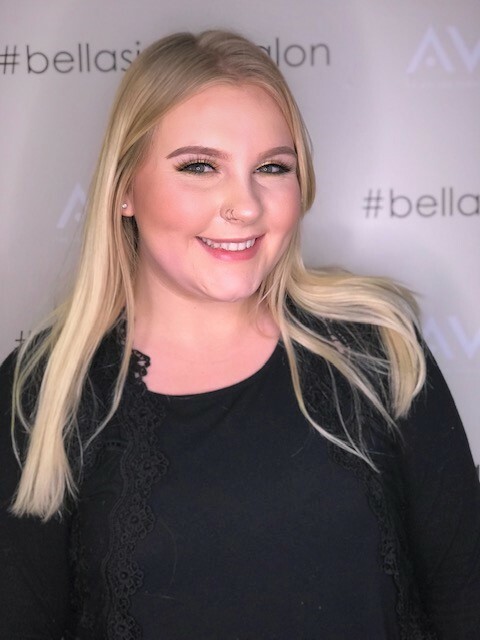 Continuing on her career path, Haley has become Bella Sirena Salon’s, Aveda Brand Ambassador. She frequently attends advanced color and cutting classes to improve upon her foundation. Being a Brand Ambassador for Aveda has really elevated Haley’s knowledge base. Since she is responsible to communicate and teach the team all the new Aveda launches. Being a blonde herself, she absolutely loves all blonding services. Be it warm rich honey blonde, wheat, platinum champagne, a foil, balayage, hair painting or single process she loves it all. When not in the salon Haley can be found out and about with her sidekick Diesel, the most adorable Boston Terrier. They love to explore and adventure together.